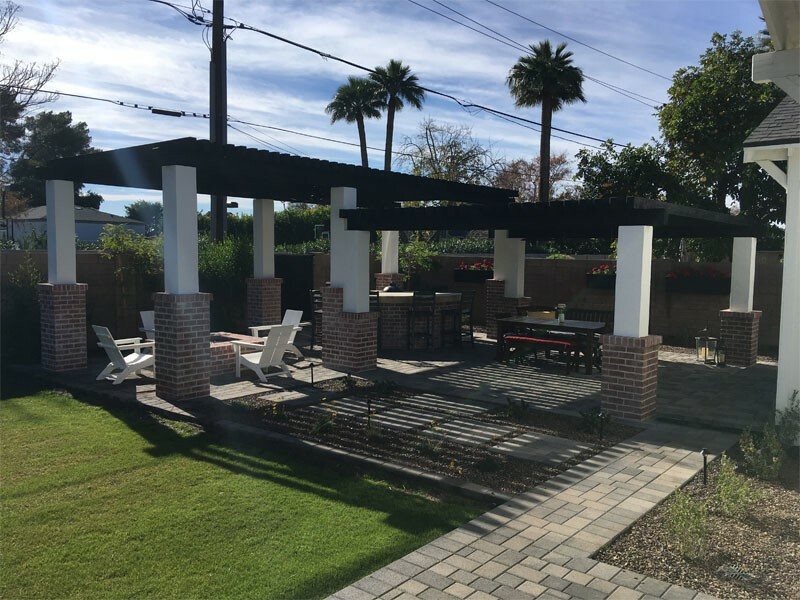 If you are searching for “outdoor kitchens” or “bbq islands” in Phoenix, Scottsdale, Cave Creek or Care Free, Arizona, Arte Verde Landscape Design can help! We offer custom Outdoor Kitchen and BBQ island design & installations. Start creating your very own Outdoor kitchen or BBQ island by giving Arte Verde a call today at (602) 618-0688 to schedule a free consultation! Common search phrases used to find our landscape design services include: BBQ island scottsdale, outdoor kitchen phoenix, barbecue island design, custom bbq islands phoenix az, outdoor kitchens phoenix, outdoor kitchen contractors near me, outdoor kitchen designers near me, bbq island phoenix and outdoor kitchen design phoenix. 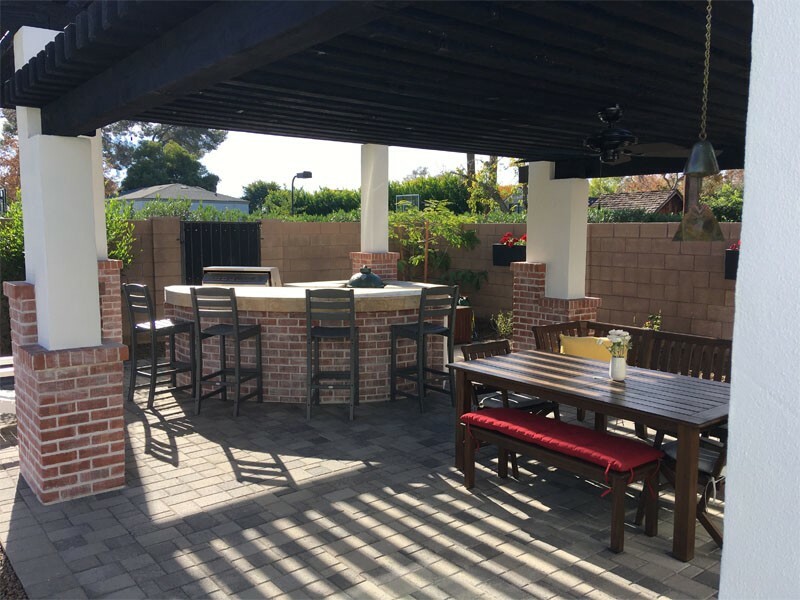 Arte Verde’s outdoor kitchen contractors, designers and installers near Phoenix & Scottsdale, Arizona, can help you build your very own outdoor kitchen. With an full-service outdoor kitchen, gourmet cooking doesn’t have to be restricted to the interior spaces of your home. In fact, with the design expertise of Arte Verde, your primary cooking and dining area may become a outdoor kitchen island located in the fresh air and underneath the stars. Cooking outside has grown well beyond the traditional open campfire or charcoal barbecue grills of the past. Outdoor cooking used to be all about cooking meat on the grill to accompany the side dishes that are usually prepared in the kitchen inside your house. Not anymore, bring the cooking experience of an indoor kitchen, outdoors with a fully functional outdoor kitchen that you can use to prepare every meal in its entirety. An outdoor kitchen allows you to entertain, cook and eat outdoors in your very own backyard. A great outdoor kitchen should function as well as an indoor kitchen, be welcoming and service as an entertainment space for family and friends. It can be as simple as chairs, table, and grill or elaborate as a fully fitted indoor kitchen complete with seating and appliances. 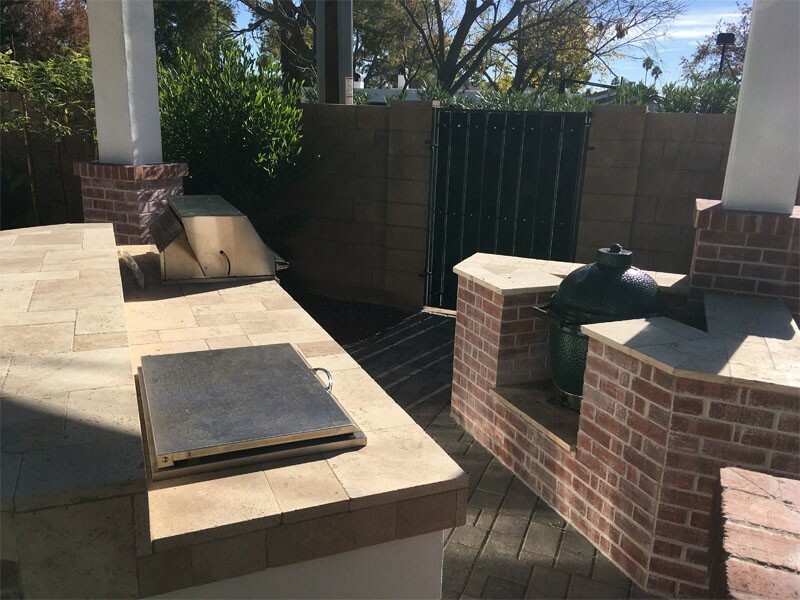 This is a task that can be accomplished by a home owner but building a fully functional outdoor kitchen requires the help of a professional landscape/patio contractor like Arte Verde. Let Arte Verde help build the custom outdoor kitchen or your dreams. We’ve been designing outdoor kitchens in Scottsdale & Phoenix, Arizona for over a decade. We have the experience necessary to build any type of custom outdoor kitchen you can think of. Contact Arte Verde today to start designing the outdoor kitchen of your dreams. We are designers and installers of BBQ Islands in Phoenix & Scottsdale, Arizona. Add a functional BBQ island/grill to your outdoor kitchen. We have a variety of trims and finishes that will allow you to design the perfect custom Barbecue Island. 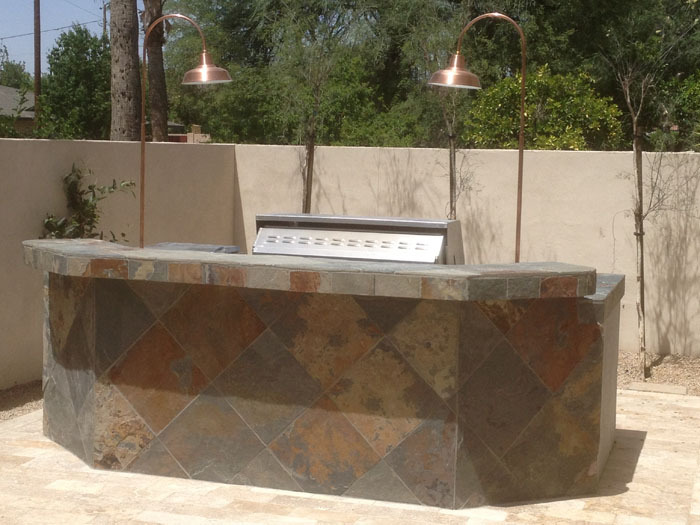 These cooking stations are USA made right here in Scottsdale Arizona by Arte Verde Landscape Design. When coming up with the design for your back yard BBQ pit, the design of your landscaping comes into play, as well as the style, tone, motif and decor that surrounds it. We can create BBQ island as the “main attraction” or customize it to seamlessly blend into the surrounding area. Add a functional BBQ island/grill to your outdoor living space. We have a variety of trims and finishes that will allow you to design the perfect custom Barbecue Island. These cooking stations are USA made right here in Scottsdale Arizona by Arte Verde Landscape Design. When coming up with the design for your back yard BBQ pit, the design of your landscaping comes into play, as well as the style, tone, motif and decor that surrounds it. We can create BBQ island as the “main attraction” or customize it to seamlessly integrate into the surrounding area. Experience the same pleasure of eating outdoors at your favorite Arizona restaurant in the comfort and convenience of your own backyard. With beautiful stainless steel appliances and rock surfaces, your BBQ islands in Scottsdale, AZ backyard will be transformed into the ideal outdoor kitchen space. Arte Verde will design and install an outdoor kitchen with all of the needed amenities, make it visually Stunning, and complementary to your home’s exterior/interior. Also, the pavers and columns that frame the structure of your outdoor kitchen will be cohesive with the pool decking, fireplace, and every other element of your outdoor living space to creat a seamless transition from one area of your home to the next. 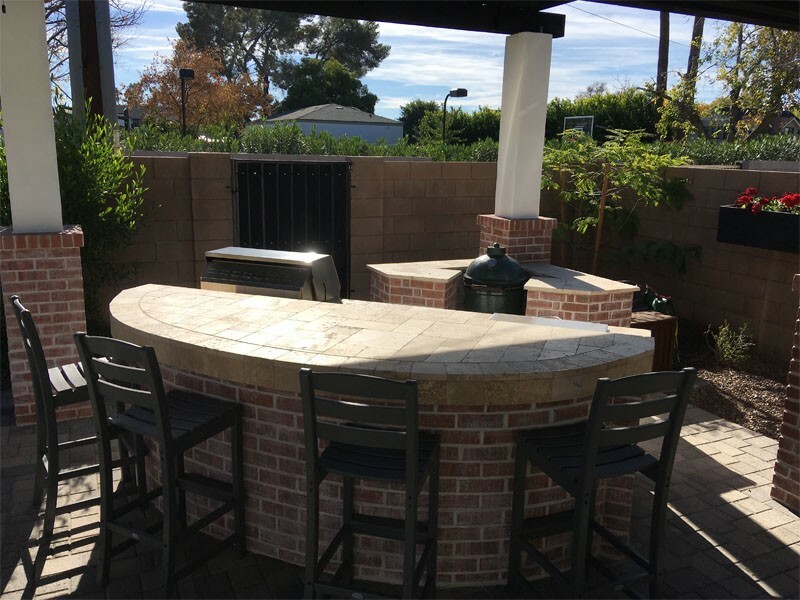 Arte Verde has been designing custom BBQ Islands In Scottsdale & Phoenix for over a decade. We have the experience necessary to build any type of BBQ Island you can think of. Contact Arte Verde today to start designing the custom BBQ Island of your dreams. CREATE YOUR OWN BACKYARD KITCHEN IN PHOENIX OR SCOTTSDALE! Start creating your very own Outdoor kitchen or BBQ island in Scottsdale or Phoenix, Arizona by giving Arte Verde a call today at (602) 618-0688 to schedule a free consultation! 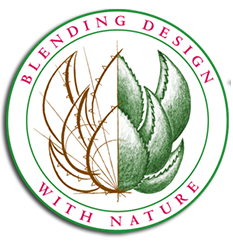 If you are searching for “outdoor kitchens” or “bbq islands” in Phoenix, Scottsdale, Cave Creek or Care Free, Arizona, Arte Verde Landscape Design can help!